It’s that time of year again! It seems like colds and the flu are in full force right now! It’s been two years since this list was updated, so I’m happy to be able to share this info with you. For me personally, preventative measures are really important for avoiding a cold/flu altogether and then I don’t have to worry about taking medicine. There are certain things I do in order to keep my immune system strong, especially during flu season. I’m also a HUGE fan of sinus rinse and do it faithfully! As my fellow gluten free friends know, trying to find out which medicine you can and cannot take when you’re not feeling well is no fun! Unfortunately with celiac disease, reading labels and researching products is a big part of life! 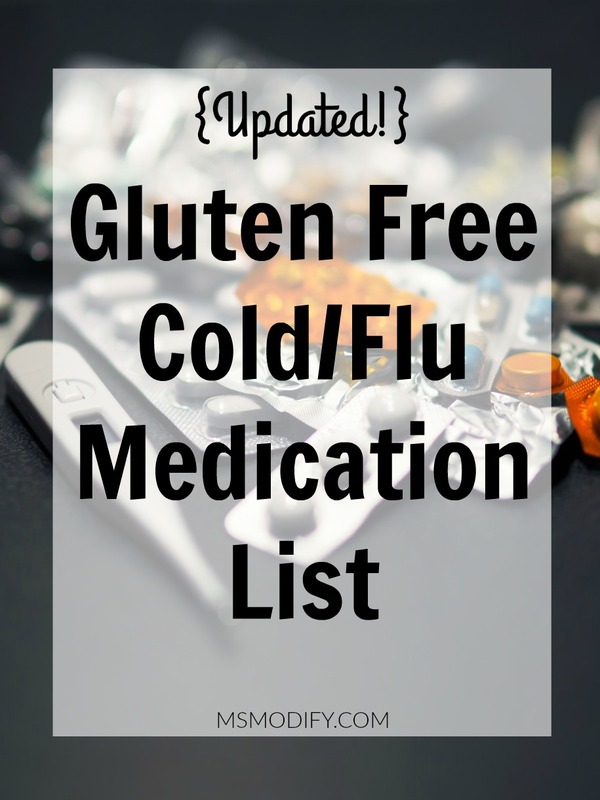 To help make life a little easier (especially when you’re not feeling well), I’ve put together an updated list of gluten free cold/flu medication. When there is a generic drug listed the manufacturer is in parenthesis. *There are no gluten-containing ingredients added to this product however the manufacturer cannot guarantee the product is gluten-free since they do not test for the absence of gluten. ***This list is for the US. If you’re in another country, please contact the manufacturer first. This entry was posted in Health/Wellness, Products and tagged cold/flu, Gluten Free List, medication, Product list. Any updates for 2017/2018 fly season? I’m working on it. It should be up in the next couple weeks! I have called many of these companies and they will not guarantee them to be Celiac safe/gluten free. If you have CD, I would not take many of these meds, UNLESS it says certified GF. Very few pharmaceutical companies will say “certified gluten free”. As with everything else, when you have celiac you need to always double check and do what you feel is best for your body. Thanks! I will update this! Your lists are so incredibly helpful! Thank you for sharing them. Thank you for the feedback! I’m so glad you find them helpful!! When I look up DayQuil it says the same as Tylenol… can’t guarantee gluten free but it’s on this list? It’s all so confusing. My doctor put me on Claritin D because it is supposed to be gf for some allergy relief. However, I had a Celiac flare up pretty much the entire 2 weeks that I was on it. This is truly the worst part of the disease when the safe products aren’t necessarily safe. Aww, I’m so sorry to hear that and can definitely relate! Have you tried nasal rinse? That really helps me with allergies. I have a very bad celiac reaction to mucinex DM each time too. The cross contamination on these products must be very high. Just tonight I forgot about my last reaction in Oct and got some more and got sick again. It’s forever off my list now. I too bad a terrible reaction to Mucinex. I asked my pharmacist about it and she confirmed it was not gluten free. Wow that’s great your pharmacist was knowledgeable about gluten in medication! I’ve never had that experience! I just removed Mucinex from the list. This list comes from glutenfreedrugs.com, so I will be sure to double check everything. Thanks! my 16yr old daughter has celiac disease and took vicks dayquil today for severe cold and flu and threw up 2 hours later. Any list for kids medicine? 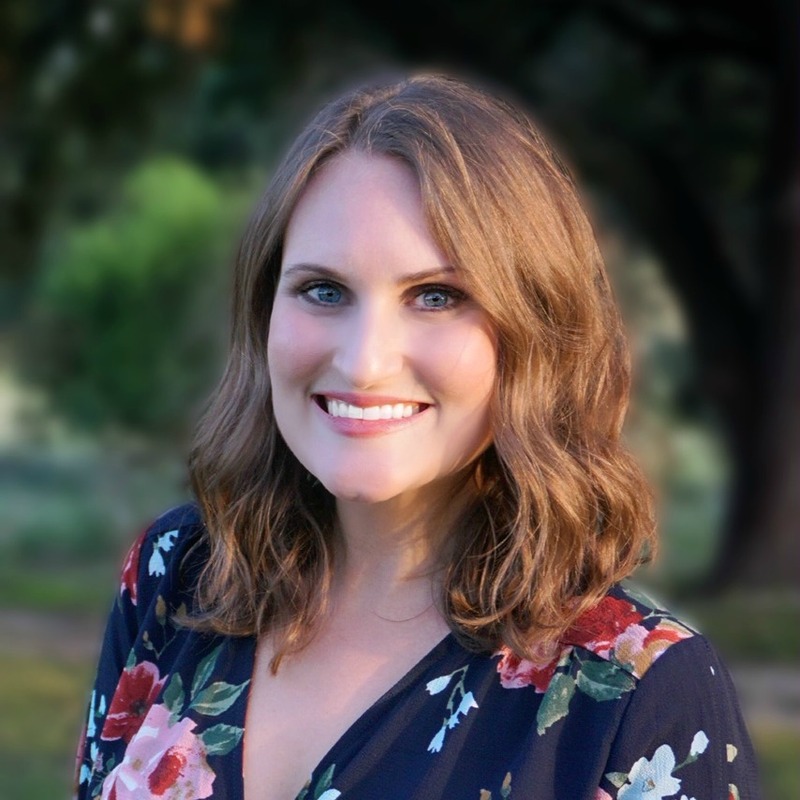 I have Celiac’s disease and high blood pressure, is there any safe medication to take for cold or flu. Thank you so much for the list. I am so sick, i also have fibromyalgia so its a double whammy. You’re welcome! Have you tried essential oils? I use lavender to help me sleep and it works great and doesn’t give me that groggy feeling in the morning like Benadryl! Not on your list, but I really love DayClear/NiteClear. They work, and they are transparent about their ingredients. There are also a lot of generic pain relief options — Target brand ibuprofen is labeled gluten free; I’ve never checked their acetaminophen. Thanks for sharing! I also like how Target clearly labels gluten free on their medications!